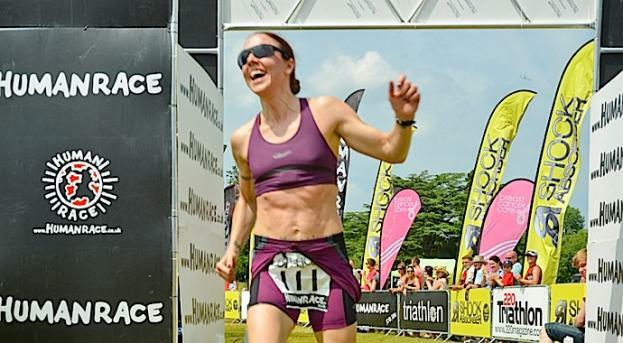 Relentless Tenacity: [Race report - Shock Absorber Women Only Triathlon] Pretty pleased with that! 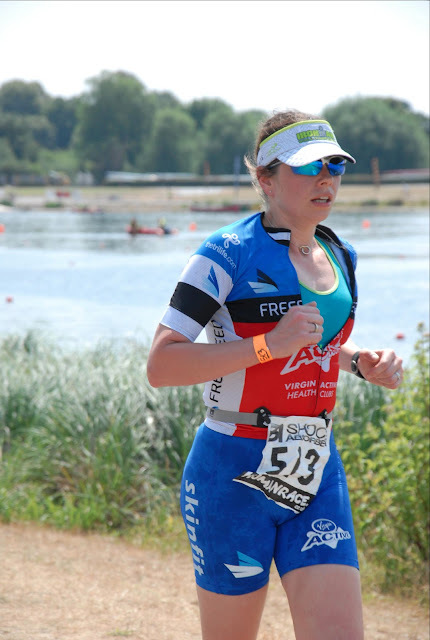 [Race report - Shock Absorber Women Only Triathlon] Pretty pleased with that! My goodness me that was FUN! 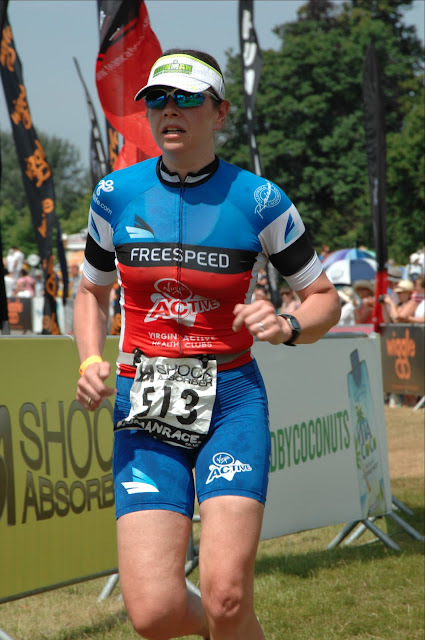 Thank you so much Jenny for persuading me to enter the Shock Absorber Women Only Triathlon this weekend. 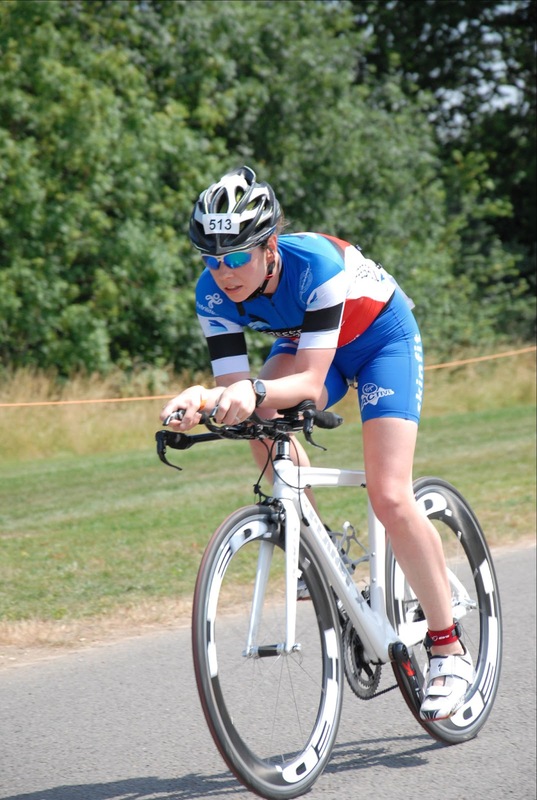 Having done almost no racing this year, I was getting more wound up about getting used to my TT bike again and how rusty I was with race experience and transitions. So I decided to give it a shot, not worry about the heat that was forecast and go out with the intention of having some fun with no expectations at all. It's a funny distance race so no times to beat or match and with it being a nice shallow lake, the water is clean and the bike course completely sans cars so very very low risk racing indeed. We packed up the car with both bikes (Mr TOTKat planned a 4 hour ride for while I was entering, registering, racking up, racing and then debriefing) and my wetsuit, just in case, and I zipped up the man-suit about having to swim in a sports bra and race shorts as the team race kit hasn't arrived from Italy yet (thanks to Jenny for the shorts!). 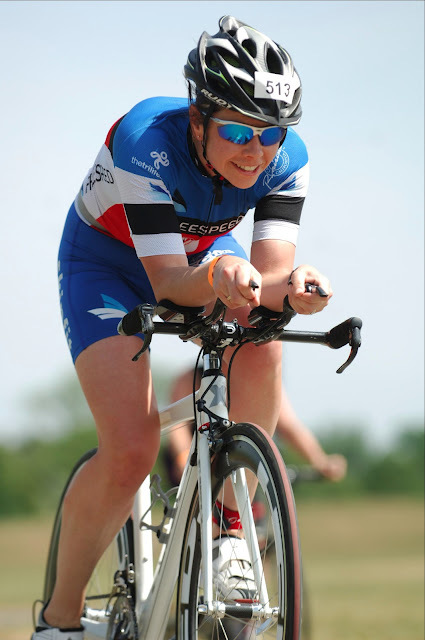 It was going to be fun pulling on a wet cycling jersey in T1 as I remember very clearly the errors I made in my first sprint triathlon around putting on dry clothes over a wet body... try it, it's really not very easy and it takes longer than you'd want it to! Anyway, those little oddities aside, it was going to be a fabulous little outing for my TT bike and practise with a few other bits in preparation for Virgin Active London Triathlon in a couple of weeks. Arriving well before transition opening time and just about as registration was open, I entered and paid my fees for the race, picked up the race pack and failed to check the notice board about the lake temperature as I'd assumed it was 23C at least and a wetsuit ban would be in place. Once Mr TOTKat was packed off and I was smeared in sun cream, I sat in the shade and chatted to a couple of other competitors, who then said wetsuits were allowed as the water temperature was being officially reported as 21.8C. I ran back to the car to pick up my wetsuit... I really wanted to wear it quite a bit, if nothing other than to cover up my wobbly belly for the swim! Then I headed over to transition to rack up as it was just about to open and I was in the first wave of competitors due to start. Listening to a conversation it turned out that the water really was quite warm, so I decided not to boil in my wetsuit and just get over how I look around the middle (my arms and legs are great, but my belly and back are very much showing the signs of the 3.5kg I've put on since last year's racing). Racked up, stuff laid out in transition I had a quick chat with Jenny (who was in the later wave due to being a spring chicken) and having checked where the swim out, bike out and in and run out were, I got my goggles and hat on and headed for the water. No race briefing until we were actually in the water, ready to go and bobbing about by the safety kayaks. 2 laps of the buoys for the swim (800m), 6 laps of the bike route (31.8km) and then 3 laps of the run (reduced from 7.5km to 6.2km due to the heat). And as usual, a good old thrash at the start and a small breakaway pack started to get away from me, but I led the second pack in the water. My tendency to bear left surfaced again and a woman from the under 30s in the wave started to pull alongside on my right and I realised I kept going off left too far and adding metres to the distance. I re-found the yellow rope that runs along the bottom of the lake, securing the buoys in place and tried to keep that in view on my right for the second lap but drifted off a bit again and ended up deciding to just coast a little and draft the other girl to save energy. 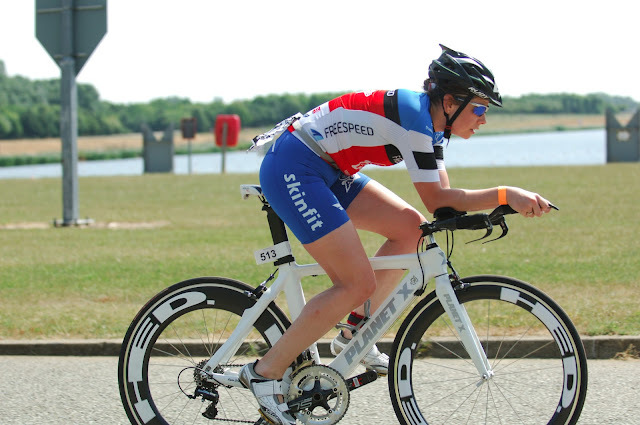 Jogging out of the water and into transition, my bike was easy to find thanks to my Union Flag design Adamo seat and the fact I was at the end of a group of racked bikes, half way down the racks in transition in the 3rd row. Bike jersey needed to be dragged on over my wet shoulders, arms and back as there are rules about how much skin you can have exposed between top and bottom half of clothing for the bike and run and a sports bra and shorts wouldn't work at all for that (never mind what you think, Mel C, going across the finish line with your abs out for the world!) and that's never a quick process. Then number belt, sunglasses, bike helmet and bike shoes and unhook the bike for the trot to the bike mount line. One day I'll learn how to do the bike mount with shoes attached to the bike thing, but it's beyond me at the moment and I'd rather focus on the big ticket items like strength, endurance and technique at the main disciplines. Off out over the bike mount line and a lady in pink RGActive kit went ahead of me to mount and her support told her she was in 9th place - which meant I was 8th out of the water in my wave (under 30s and over 40s). I intended to take lap 1 easyish, get used to the route, turn my legs over and then get down onto the tri-bars for the next 5 laps. But... out of transition onto the long straight on the West side of the lake there was a monster head wind. Staying up on the hoods just turned me into a sail, so once I was through the chicane, I was down on the bars and up the gears. I started to overtake a few ladies who were in the front pack of swimmers and then I couldn't see anyone for a while in front of me. After starting the 4th lap, the next wave started to become quite apparent on the bike course and on the 5th I was overtaken by someone from the later starting wave and I realised I'd eased off and was taking it quite gently! Back on the gas to overtake her again, loving the sweeping bends on the course, I overtook her back again half a lap later and then steamed into transition after my 6th lap. Bike racked, bike shoes off, helmet off, number belt turned around, sun-visor on and off onto the run to find out how many people in my wave were already out there. It looked pretty empty and I couldn't see down to the turn point as I grabbed a water at the start of the run. Stomping down the Western shore of the lake I counted one... two... three... three runners on the course! Time to dig in and get on with it in pretty horrid heat. I really don't do well in the heat, but even with a couple of extra kg weight compared with last year, I'm in a lot better place than I used to be. I hung on and took water at each end of the run route and tried to see who was behind me. Plenty of people were shouting "GO ON FREESPEED!" which was absolutely brilliant and gave me such a boost! It got a bit confusing after the first lap as there were then people very much at different points of their race and I couldn't tell who I was racing any more. On my last lap, Jenny went rocketing past in the opposite direction and then a few people went rocketing past me. I had no idea what wave they were in or what lap they were on, so I just had to hang on and not lose the water I'd been glugging by up-chucking in the last lap. Carolyn Hewett (Team Wiggle) came past like a train and scared the wits out of me for a second with a cheery "COME ON FREESPEED! ", which then made me giggle as there was no way on earth I'd be able to catch up with her as she disappeared off into the distance. I threw myself under the finish gantry and headed straight for a lady holding a garden hose with a sprinkler attachment and got myself drenched while I sucked down the Vita Coco that was being handed out. Man it was good! 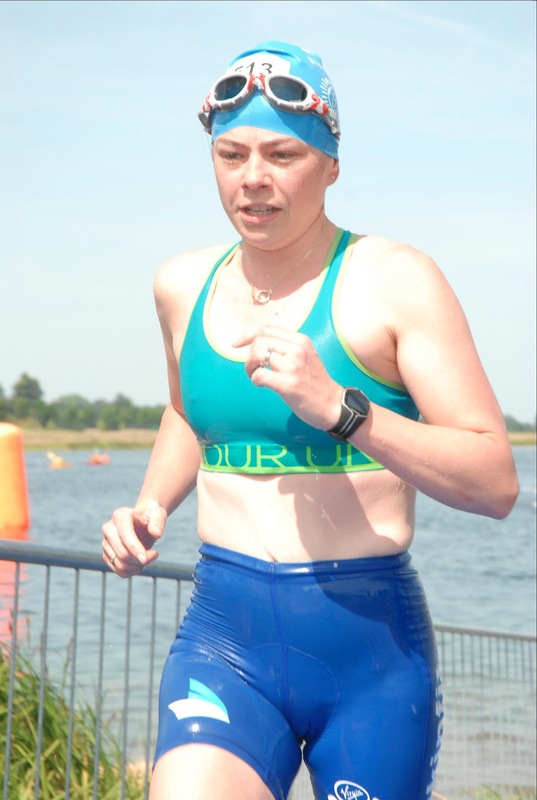 I had a good old natter with Eleanor Doody from Ful On Tri afterwards, which was really nice; this is one of the things I massively enjoyed about the day, despite having been skeptical about a women only event. Waiting for MrTOTKat to get back in from his bike ride, I munched on a White Chocolate and Macadamia Clif bar and started to feel a bit more human again (really looking forward to picking up my nutrition pack so I can get on with the Clif Builders Bars after the next races!). For a last minute decision race, on a really hot day, the day after a monster strength session in the gym and no taper at all... I'm pretty happy with the result. And it was fantastic TT bike time, getting used to handling that bike again, after the fit at Freespeed a couple of months ago. It feels really good! Happy with the swim, happy with the bike (especially given I eased off in laps 3 and 4). But yes I need to work on my run, but I pretty much gave up on the run once I was reasonably sure I probably wasn't losing places to anyone I was actually racing and I reminded myself that this was a bit of fun and there was no need to splatter myself all over the run course. It's incredible racing in the team kit of such a well-known high-performance race team as Team Freespeed Virgin Active and it gave me no end of mental boost on the day as well as the support from the team and sponsors. Looking forward to The Virgin Active London Triathlon in 2 weekends time when I really get to have more fun and enjoy a great race. Sounds like you got your mojo back. ♥ Well done. Solid week - but still no announcement!